Every month we spend an evening scouring the pages of the latest issue of Previews and pick the titles we are looking forward to the most. This month it's the January issue which includes comics scheduled to ship in March 2019. Jo S: The art style of this new series caught my eye flicking through the latest Previews; Ian Bertram’s blend of tight detail and wider grandeur reflects a focus on characterisation but within a panoramic scale. It seems that this series, from the imagination of filmmaker Van Poelgeest, will indeed be the introductory presentation of a wider world to be explored further. Focussing on a young girl rebelling against an oppressive, theocratic empire, this might be a dystopian future view of the US but it certainly harks back to a more ancient, pre-technological society too, though it still seems deeply rooted in very current anxieties about where global leadership is taking us all. The creative team promise some more light-hearted accents too; hopefully this will lift the story out of potential bleakness. James R: This is one of those times where the preview pages sold me on a series. 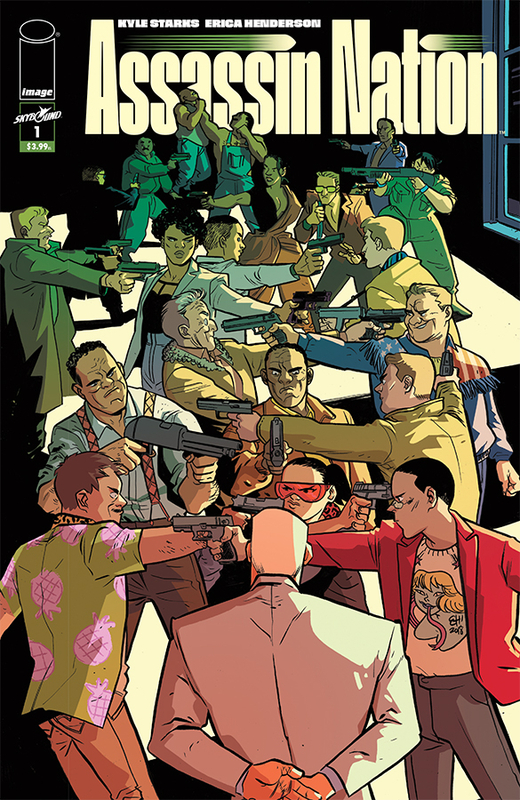 Assassin Nation sees the world’s former greatest hitman hiring 20 of the best assassins in the world to be his bodyguards - it’s a neat pitch, but the art highlighting the cast that Kyle Starks and Erica Henderson have dreamed up is irresistible: Niles R. Axelrod! Chad Fingerman! Wistful Stan! F*ck Tarkington! Dave! In a word: sold! Comedy is one of the toughest things to do right in comics, but this looks like it’s got the right blend of humour and all-out action - a definite potential smash from Image and Skybound. Matt C: We have written about this series so often since it first appeared in 2013 that many of you will be aware that it's one of our very favourites, and also aware of the numerous reasons why we hold it in such high regard. To say we're excited to see it back is an understatement. 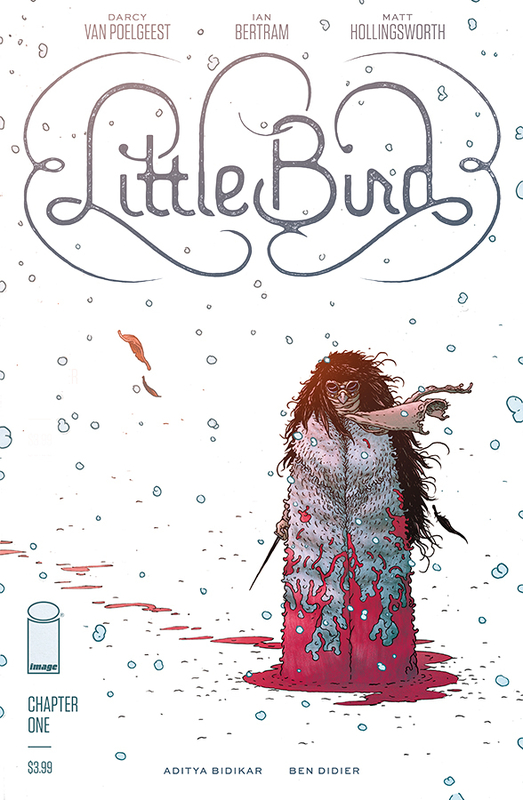 We had two issues in 2018 to see out the last volume, and before that a break of a year with a miniseries plugging the gap. 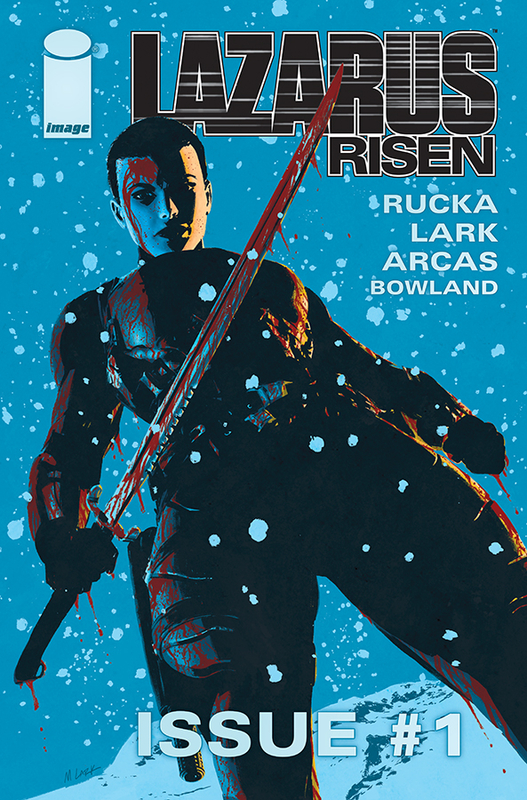 Now creators Greg Rucka and Michael Lark have made the decision to move away from the monthly schedule (which they had difficulty keeping up with) and go quarterly, expanding the page count to compensate: 64 pages, 44 taken up with the main story, the rest including short stories and other related material. It feels like the right move to combat slipping schedules and also makes it feel like each issue will be a bit of an event, a chance to dive deeply into the world of Lazarus. And anyone's who visited that world before will want to spend as much time there as they can (as an observer, not a participant, obviously!). 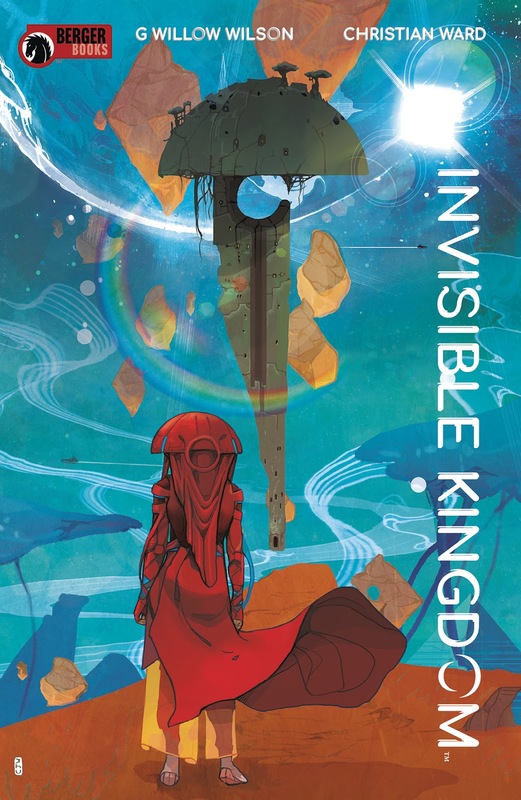 Jo S: Anything utilising Christian Ward’s art has become a fast favourite with me and Karen Berger’s stamp of approval makes this a slam dunk in spite of my relative lack of familiarity with G. Willow Wilson as a writer. Her tale of two women discovering a galactic conspiracy of religion and industry looks to be a kind of odd couple story, one a religious acolyte and the other a hard-bitten freighter pilot. It's long way from Wilson's previous work on Ms Marvel but nevertheless a concept which appeals: female-led buddy stories are relatively rare still in my experience. To be honest though, I’ll snap up anything with Ward drawing and colouring space scenes - a Berger-approved story will be a bonus on top of that. Kenny J: If you were to put together the Mount Rushmore of comic characters I would argue that Spider-Man would have to take up one those four masked faces. He's one of those characters that, no matter what suit they are wearing, anyone could identify as one of the many variations of the webslinger. With that iconic status comes a rich history. 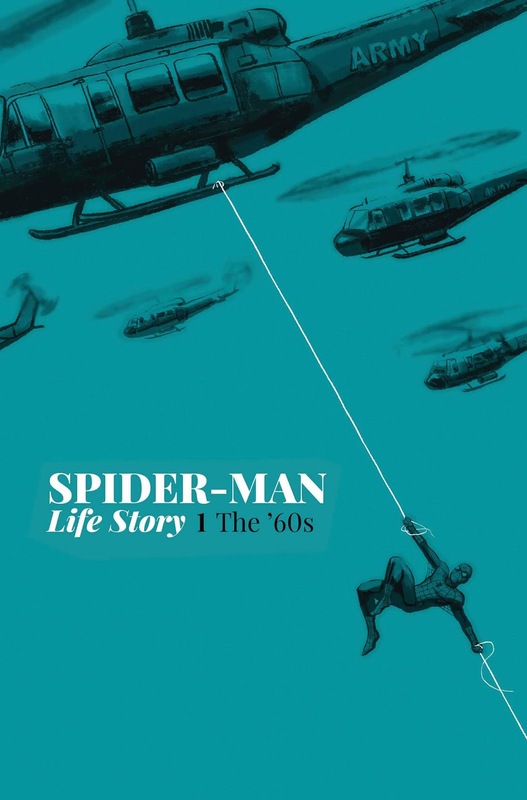 Now, in Spider-Man: Life Story, Chip Zdarsky is giving Ol' Webhead the biographical treatment as he sets the many trials of Peter Parker against the key happenings of the last six decades. Close off his work on Peter Parker: The Spectacular Spider-Man, Zdarsky has shown that he knows this character and is completely the right choice for a project as ambitious as this. You are also going to need an artist who is more than au fait with Spider-Man and so for me, with his seminal run of Ultimate Spider-Man, Mark Bagley is the perfect choice. Hopefully with stories spanning fifty seven years there will something in this series that everyone recognises from comics past, present and future. 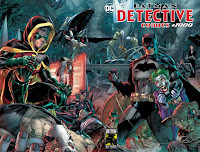 Matt C: I've not picked up an issue of Detective Comics in a long while, but I hadn't picked up an issue of Action Comics either when I purchased the milestone 1000th issue of that book, which turned out to be one of the best issues of last year. 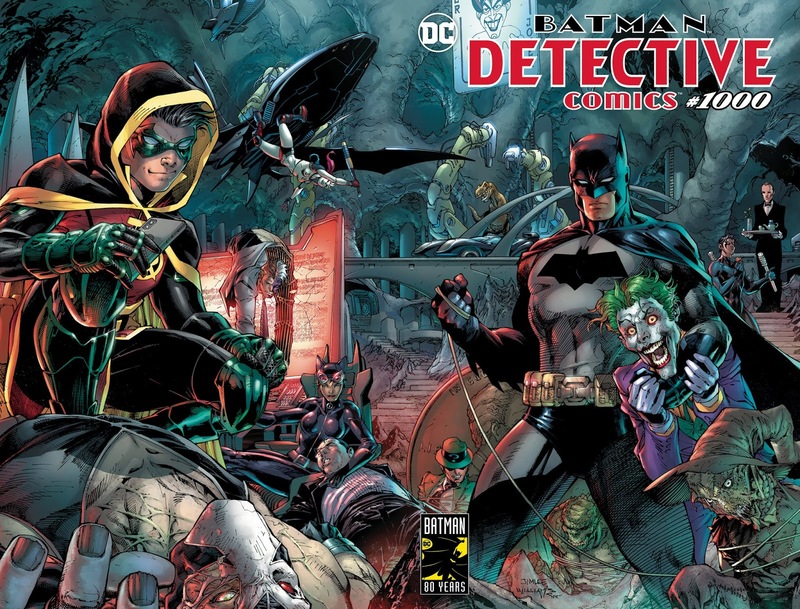 I expect Detective Comics #1000 of a similar celebratory nature, focusing on the Dark Knight of course, roping in a huge number of creators who've been instrumental in shaping his adventures across the decades - Jim Lee, Paul Dini, Neal Adams, Scott Snyder and Dennis O'Neill, to name a handful. Batman writer du jour Tom King is involved too and it's probable that, as with Action Comics #1000, some tales will shine more brightly than others,but as a package it should serve as a reminder of why the Caped Crusader's popularity has endured for so long (and shows no sign of stopping just yet). Jo S: The latest operator of the Hero Dial is teenage biker Miguel, in this new series in Bendis’ Wonder Comics line. It looks as if plenty of mischief will be afoot, with Harley Quinn writer Sam Humphries tapping out the script and Joe Quinones’ initial cover a bright depiction of our newest multi-talented hero alongside a mysterious girl and a very familiar Kryptonian. 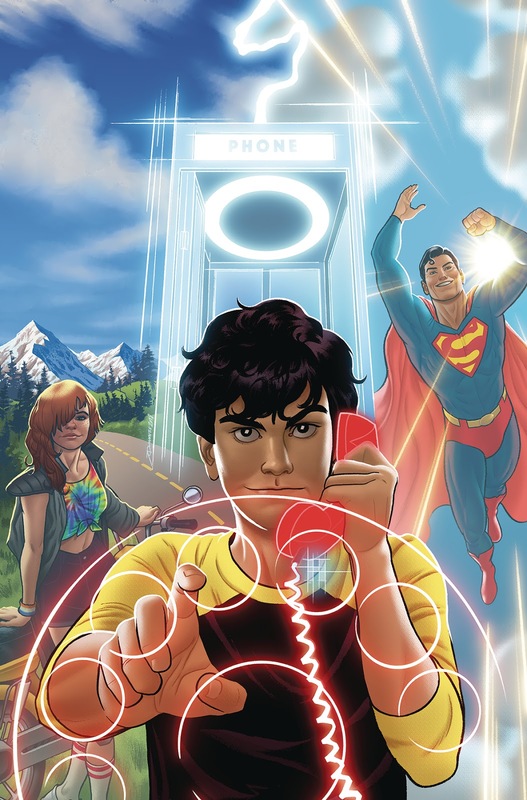 The concept of an otherwise ‘ordinary guy’ who is granted a variety of superpowers depending on a the turn of a dial on an old rotary phone feels like a lot of fun, though I find myself wondering, triggered by a video clip on Facebook this week, how many teenagers in 2019 would actually know how to operate such an antique! James R: I know that I’m part of a niche market that really enjoys comics that use Biblical stories as a jumping off point; Judas, The Goddamed, Chosen - the hit ratio is surprisingly high. 2019 will see two new additions to this list - in July, we’re due Grant Morrison’s Savage Sword Of Jesus Christ but first comes Second Coming from Vertigo. 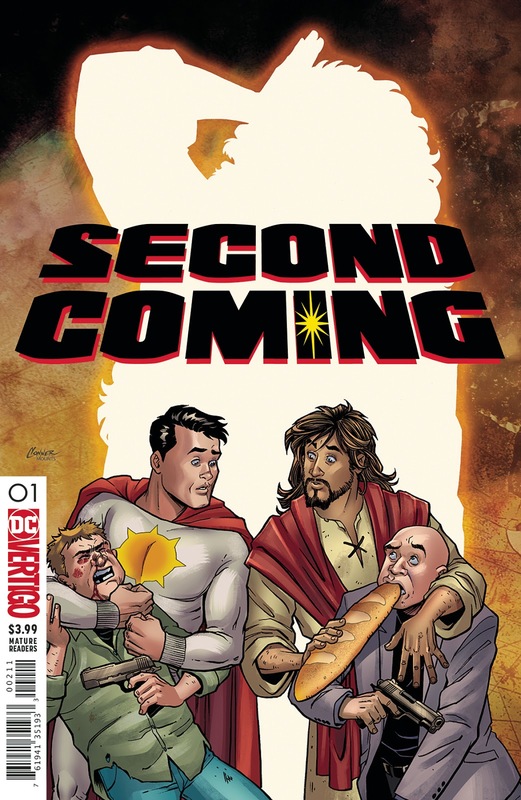 In short, the book sees Jesus return to Earth and spend time with Sunman, an analogue for Superman (who has drawn numerous comparisons with Jesus over his eighty year publication history). Written by Mark Russell, responsible for both the Prez reboot for DC and a number of the Hanna-Barbera titles, and illustrated by Imaginary Fiends artist Richard Pace, this has already annoyed some evangelical Christian groups in the States so, on that basis alone, this has to be worth a look. Kenny J: A misspent youth had me watching Melissa Joan Hart as the titular Sabrina The Teenage Witch, which had me in turn super excited for the Netflix version, a darker and creepier version more akin to the fantastic Chilling Adventures Of Sabrina comic. 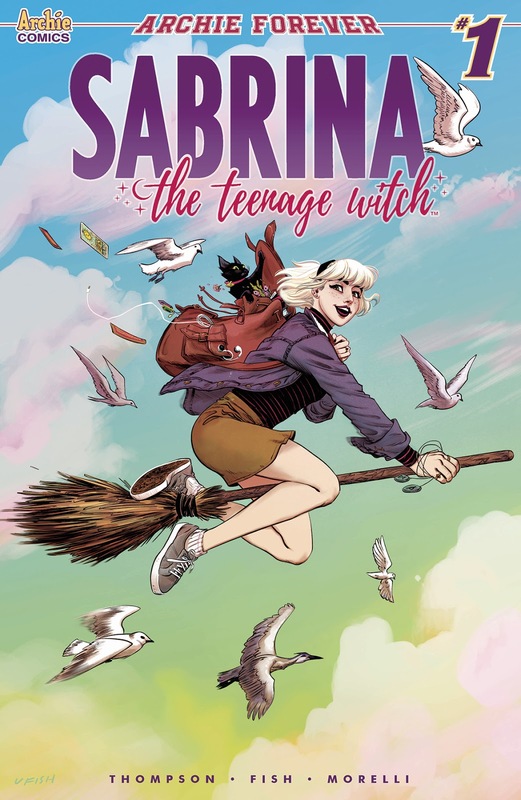 Now there is a new Sabrina The Teenage Witch miniseries coming to us on the back of those great things, written by one of my favourite writers in comics at the moment, Kelly Thompson. The work she has recently done on West Coast Avengers and Captain Marvel tells me she is going to strike absolutely the right tone. Add to that the amazing cover by Veronica Fish that's evokes my third favourite witch, Kiki (number two is Willow) then I can tell you this book is going to have me spellbound.